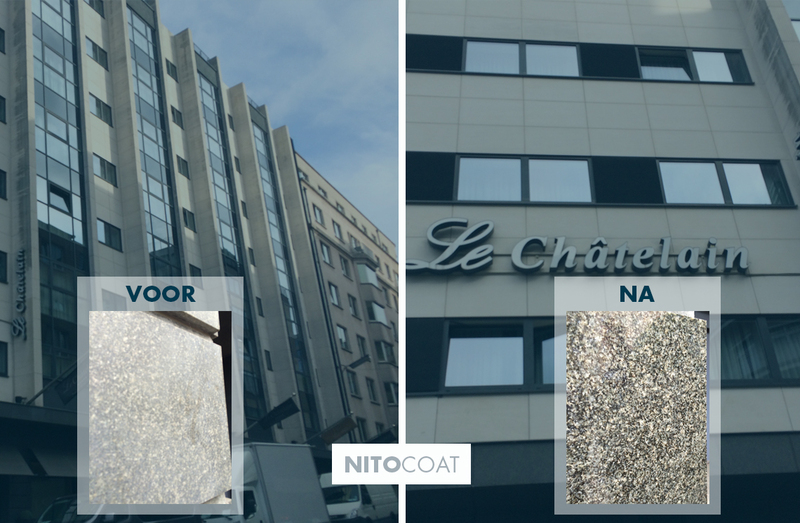 5 star hotel chain Le Châtelain has decided to preserve their facades with NITOCOAT. The natural stones on the façade have lost their luster due to aging and wear. 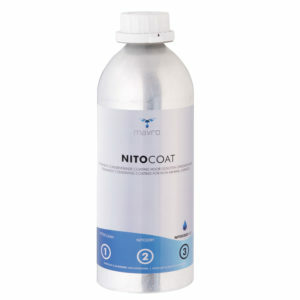 After applying NITOCOAT, the natural stones will shine as new again. The surface will also be protected against, among other things, penetration of graffiti. After the application of the preservative coating, the natural stones will be very easy to maintain (easy to clean). The remaining cementitious parts are first cleaned with façade cleaners before the parts are protected with a Nano-coating against the penetration of atmospheric pollutants. After having completely cleaned and preserved one hotel, the owner decided to have the other hotels treated as well.